Whether you’re a first time property buyer, or a veteran real estate investor, it’s crucial to get acquainted with home loan fees. If you’ve used a home loan calculator or comparison rates to shop around online, you’ll be familiar already with how home loan fees can easily add up quite quickly. Home loan fees can make a big difference in the total amount you’ll be paying on your mortgage. 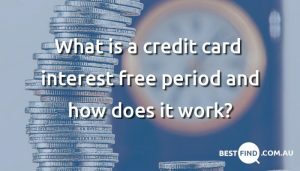 Whether you’ve found the best interest rate or not, fees are a key factor to consider if you’re hoping to save money in the long run. This guide explains some of the standard home loan fees, so you’ll know what to look out for when choosing a mortgage. Application, establishment, set-up, start-up or up-front fees all refer to the one-off charge that you’ll pay when setting up your mortgage. 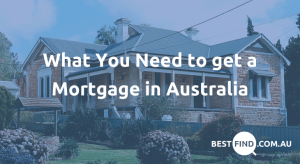 The average Australian mortgage of $350,000 may be associated with an application fee of up to $500 for residential home loans, and only slightly more for investment properties. Home loans without establishment fees may charge you more in terms of maintenance or ongoing fees throughout the duration of your loan. Maintenance or ongoing fees may be monthly, quarterly or annual, and are also sometimes called loan service fees. These service or administration charges may sometimes be required in under certain situations, a good example of this is a redraw facility fee. Redraw facilities will only apply if you’re using the redraw option to withdraw additional repayments you’ve made on your home loan. Lenders and credit providers are covered by Lenders’ Mortgage Insurance (LMI) as a rule. This protects them in the instance that you or other borrowers default on a home loan. As a first time home buyer, you’ll often be charged an LMI fee if your home loan is an amount above 80% of your property value. If it’s not your first time taking out a home loan to buy property, you will typically be charged LMI fees if you’re borrowing to cover your entire property value. It is possible in some instances to get some of your LMI premium refunded. This may be an option if you’ve been with your current home loan for one or two years and you’re switching loans. It’s also a good idea to check whether you can avoid paying LMI again if you’re changing to a new loan outside this period. This might be the case if you have enough equity on your home if you’re paying LMI at the moment. Break fees, or break costs, apply when you switch home loans before your fixed rate home loan period is complete. They can be quite high in some instances. If market interest rates have decreased during the period you’ve had your fixed rate home loan, its generally the case that break costs will be higher. They aren’t always set at in advance, so you’ll often only find out what the break cost will be when you ask your lender. Early exit fees are also known as deferred establishment fees, early termination fees, deferred application fees or early discharge fees. These are the charges you’ll be looking at if you wish to completely pay off your home loan within a specific time frame. As an example, you’ll most likely be charged an early exit fee if you’ve had your mortgage for under 5 years. On the plus side, they are capped under Australian Law so that the lender you’re leaving can only recoup the amount they will have lost by your early exit. This means that home loan providers will not be able to charge exit fees as a means of putting you off moving your home loan elsewhere. If you’re quite lucky, you’ll notice a few lenders who offer to pay your early exit fees when you sign up with them. As always, make sure you consider other fees, interest rates, features and flexibility when looking to switch lenders. Termination fees are also sometimes called settlement fees or home loan discharge fees. These apply when you repay the total amount of your mortgage. For the average Australian mortgage, it’s not unusual for discharge or termination fees to range around the $250 mark. Refinancing fees are charged by your new credit provider when you move your home loan to them while refinancing. These may be flexible in terms of their size, so negotiation isn’t always off the table. Refinancing will very often involve discharge fees, application fees, and break fees. It’s important to think things through carefully before you refinance your home loan to avoid paying too much in charges. There’s more to it than fees and bad news, actually. Under Australian law, you’re not required to pay over 48% per annum on your mortgage. This includes set-up and fixed fees. It’s a good thing, because home loan fees can cost the average first time home buyer a fair amount in the first year alone. 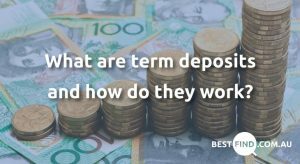 How can I keep my home loan fees down? It’s strongly recommended that you talk to your lender or loan provider before you commit to a mortgage. Yes, you should do this even if you’ve carefully checked out what’s on offer online because while these deals may be relevant at the time they’re published, they may change at any time. Please do read the fine print, too before signing anything, as home loan fees can easily add up to thousands over the course of your home loan.